Don't just go by our experience; developing smart and intuitive iPhone applications requires finesse and passion also that only WE can deliver. eTraffic Applications is recognised as one of the leading iPhone application development companies in Australia. We have a team of highly talented and certified developers who stand out in the industry for their in-depth technical expertise and unmatched delivery excellence. Besides working on different projects across diverse industries and geographic boundaries, we critically understand what it takes to thoroughly understand the concepts, ideas, and custom iPhone apps development needs, accommodating the essential changes during the stages of development and delivering the result – quality and fast turnaround time guaranteed. With Apple iPhone driving the industry for Smartphones, it's not surprising that custom iPhone app development solutions are seeing huge demand because the key feature of customisable and engaging applications is primarily in the forefront among the benefits of this Smartphone. The key features such as adaptability and flexibility make iPhone applications increasingly essential for modern businesses. At eTraffic Applications, we strive to cater to the requirements of our clients to target the growing iPhone market and promoting their business in the most cost-effective and impressive manner. We boast a team of highly experienced and certified iPhone developers who understand your project requirements, delivering customised and high-quality solutions. With years of expertise in iPhone development and application programming, we can make your business more efficient, interactive, and functional to your customers. With increasing popularity of iPhone applications, more and more businesses are considering it as an effective marketing tool to reach out and promote their product or service offerings to a niche and ever-growing target segment. With this intent, they wish to present their existing website or functions in the form of intuitive and robust mobile applications to drive traffic and generate business. At eTraffic Applications, we keep the essence and appeal of your current website intact, customising it to make it compatible for mobile browsing. Our expert mobile app developers have vast experience in building robust iPhone applications based on your current business website. Social networking is becoming remarkably popular than ever. What is even more delightful, people are considering smartphones as a convenient media to connect to the world and share information on the social network. At eTraffic Applications, we build highly engaging and user-friendly social networking apps that can connect your target audience to the world in a fraction of seconds. Most popular social networking websites are creating their unique and compelling iPhone apps to help their customers to access the same via their iPhone, anywhere, anytime. We can create social networking apps of any complexity and any functionality, delivering customised solutions to our clients. eTraffic Applications has the expertise and technical know-how to build robust and highly scalable native iPhone apps that are intuitive, engaging and drive great revenues for your business. Developing native applications on iOS SDK is one of the most effective ways of reaching out to your target audience and promoting your business or brand in an impressive manner. iPhone users are always looking for smart and engaging applications to work or enjoy, and high-quality native iPhone applications developed by us will help you deliver what your customers demand. Our team of app developers have expert knowledge and experience building interesting and user-friendly native applications for iPhone. If you are catering to a particular niche that is interested in news, sports, or other forms of entertainment, we will help you build interesting and highly engaging entertainment and knowledge applications for your target audience. eTraffic Applications is expert in designing and developing a wide variety of news and music apps that will help your niche target audience get what they want in just a fraction of seconds and right on their iPhone. In addition to this, we also build other intuitive and smart applications related to a niche segment of knowledge and entertainment. With our applications, iPhone users can also listen or download music, videos and news in a breeze. With mobile technology growing rapidly, ecommerce websites are visualising new ideas to facilitate online shopping on iPhone. Catering to the demands of such clients, eTraffic Applications designs and develops robust, user friendly and intuitive ecommerce apps that facilitate online shopping via iPhone. We also integrate secured payment gateway and shopping cart to your ecommerce application, making it easier for the users to make payment online and enjoy a worthwhile shopping experience, all on their iPhone. With ecommerce apps, your target customers can now buy your products from anywhere in the world, anytime, and right from their smartphone without any inconvenience. It's impossible to play full versions of original games on iPhone. But then, it is one thing that majorly attracts mobile phone users to buy game-rich iPhone. At eTraffic Applications, we can build interactive apps for your game that can be integrated to iPhone to engage your customers. We are a leading game development company in Australia, and we leverage our expertise in designing and developing intuitive and interactive game applications for you. With our smart game apps for iPhone, you can promote your brand in the most impressive manner, giving your target audience a good flare of excitement and fun. Why Choose Our iPhone Apps Developers? At eTraffic Applications, our expert professionals have rich experience in native apps development, interactive games, simple business apps, entertainment and knowledge applications, eCommerce apps, and social networking applications. We provide the clients with the best user interface designs and codes, right from the concept to help build unmatched mobile applications. Technology savvy: Our professionals possess unparalleled technical expertise in the field of mobile application development, building highly intuitive, interactive and engaging apps across various industries and services. Knowledge of the latest trends and advanced technology: The mobile technology is ever-changing and so are the trends in mobile apps development. 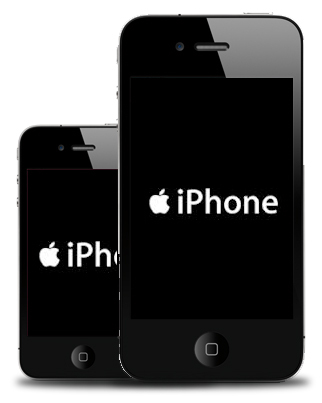 Our expert iPhone programmers regularly update themselves about the latest standards and advanced technology in their niche. And guaranteeing high quality and robustness to our clients. Key expertise and experience in building applications for various industries with diverse functionalities: Not all businesses are same, and so are the requirements for apps development. At traffic Applications, our iPhone developers cater to the diverse needs of our clients, developing smart and result-driven applications across various industries with distinct functionalities. From business to games, from entertainment and knowledge of mapping and navigation, healthcare, eCommerce, eBook, and much more – we handle all. Passion for work: Where else would you find such talented and certified iPhone app developers who have the passion and commitment to deliver even the most complex project right on time with quality guarantee!! At eTraffic Applications, it is our developers' passion for work that drives us to deliver excellent quality. Long vision for creating successful applications: We do not believe in short term strategies. They have a vision – a long term commitment – to create intuitive and highly interactive applications that caters to distinct needs of your clients and generates results on a long term.